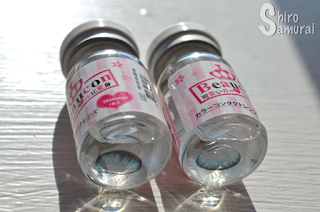 Today's review is for the Beaucon Shimmer Blue circle lenses; it's a really small diameter lens with a natural look to it – now let's see how it fares! I am suspecting that the Beaucon lenses might be exclusive for HoneyColor so yeah, that's where to head if you want these lenses to your collection. This is not a sponsored review by the way; I just thought that I'd mention where to find the pair that I'm reviewing since it's not a common brand like GEO that can be found virtually everywhere, lol. 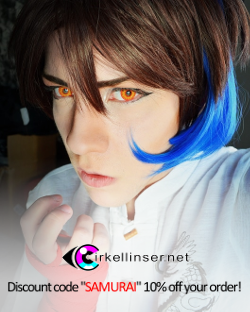 I mainly chose these lenses out of curiosity because I wanted to try something more realistic for a change. I usually pick all the fancy and colorful ones but now I decided I wanted to try something different, haha! And as I was saying these lenses definitely sit right in the natural department! One lens in. Notice the enlargement effect. As you can see I have naturally blue-gray eyes (or gray-blue?) and these blend in with my real eye color really smoothly, while still letting the blue of the lens maintain its effect. The color is a soft blue that seems to have a pretty dang natural shade to it, and because of the small size, these lenses don't look unrealistic nor 'pop' when viewed from a distance. The edges of the lenses have a slight black rim but even that is discreet in its intensity and thus doesn't distract from the natural look of the lens. 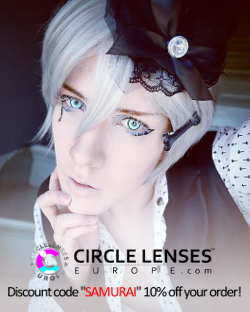 This is definitely suitable as a daily or fashion lens for those who want some extra color in their everyday lives! All photos are taken by me during an October afternoon with a dull, cloudy and 100% sunless sky. There's no color filters or such on the close-up photos and that's so that the colors would be as true to real life as possible. 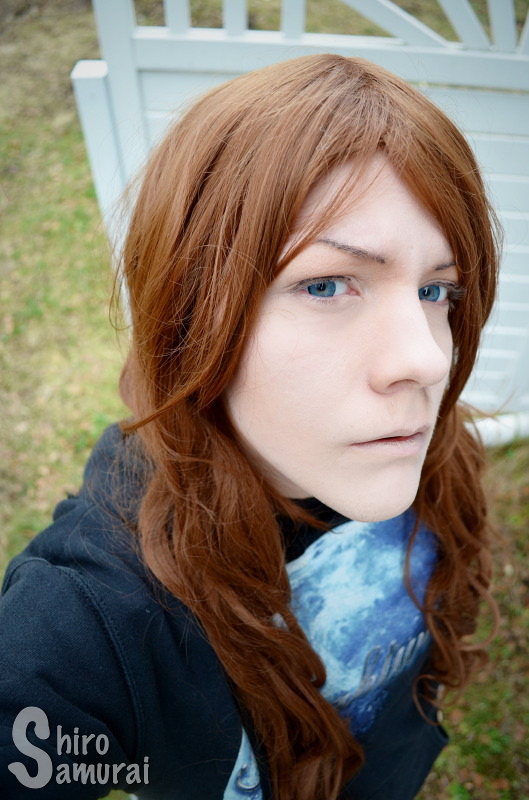 Outdoors, facing the cloudy sky and where the sun should have been. 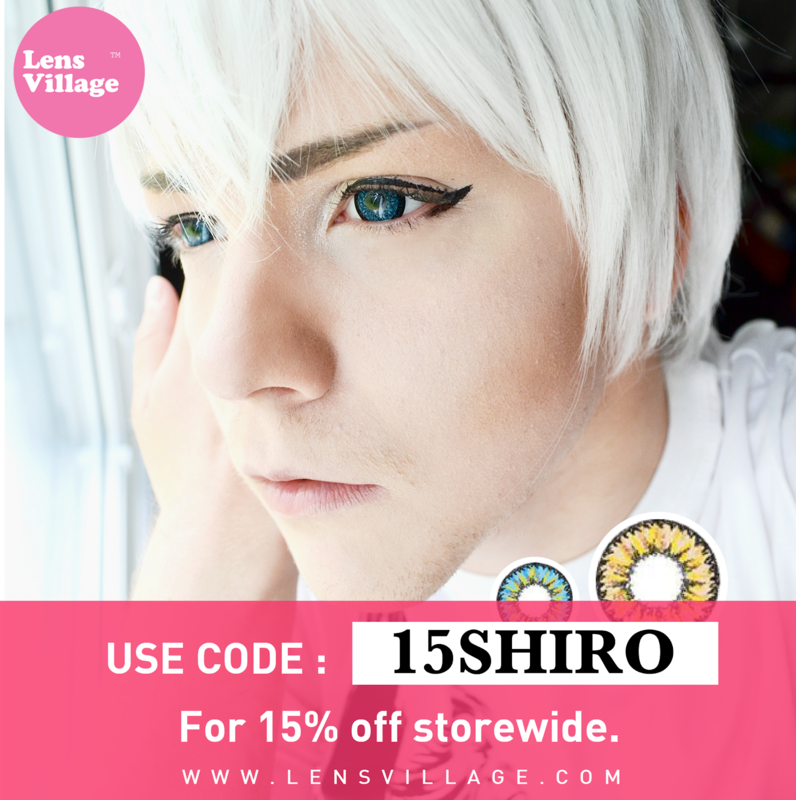 This is not a cosplay lens, unless you want to opt for an invisible and as-realistic-as-possible look for your costume; it could work for movie and live-action characters but it's way too subtle to pass for any sparkly and big anime eyes, lol. 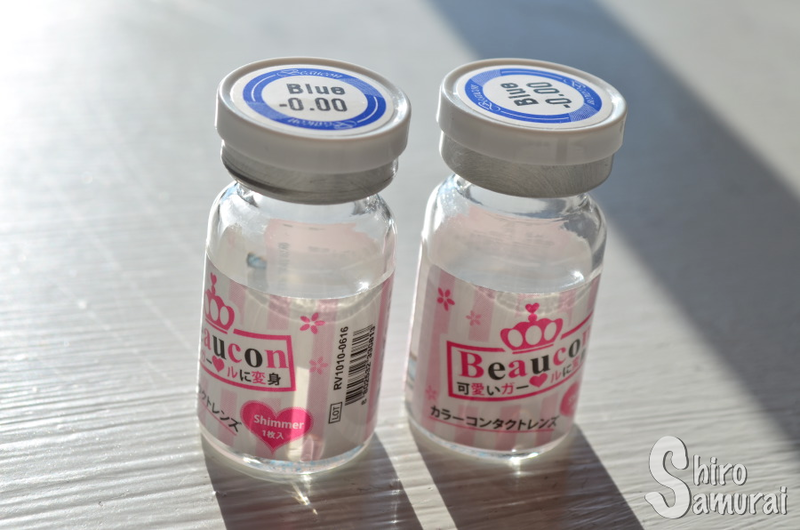 It could just be me and my Beaucon curse, or it could be a combination of my really dry eyes and the lenses being near their expiry date (before I took them out of their vials; I almost forgot about them) affecting the comfort. 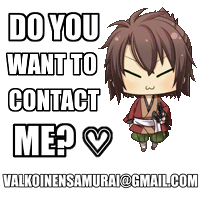 With that said, please do take my comfort grade with a grain of salt as it might not be completely fair and/or accurate to the lenses. 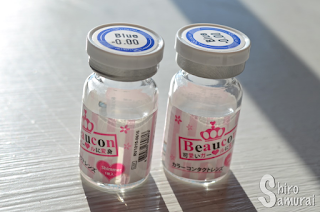 Soft natural-looking blue color that blends well into light eyes. 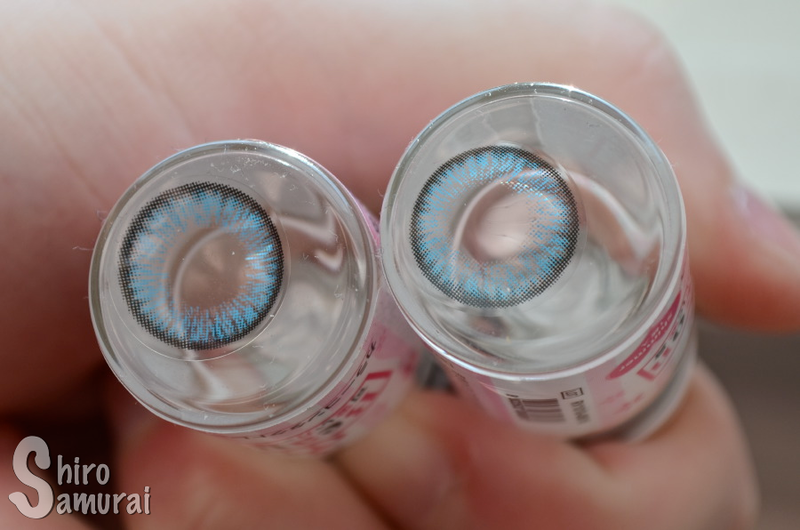 Realistic design with a thin dark limbal ring and streaks of blue. Enhances the blueness in my eyes but seems to turn a bit undistinguishable in some poorer lights...? Really realistic! These will do it for a daily lens if you just want a splash of blue to brighten the day.